The Brittany comes from France, from the heart of Brittany. At the beginning of the nineteenth century, a large number of smaller, small-scale hunting dogs have been bred with English Spaniels and breeders of the Epagneul Breton, for which a first own standard was established in France in 1907. In the meantime, the BRETONE is probably the most dominant dog in the world. In his country of origin, France, he is the hunting dog No. 1 and is supervised by the Club L’Epagneul Breton (CEB). There are about 5,000 puppies a year, and in the US, the 20,000 puppies are born. The Brittany is a versatile dog. It is characterized, in particular, by its fineness, concentrated and wide-ranging field searches, as well as its spontaneous and firm pointing. The performance of the Brittany’s work after the shot is excellent as well as the work in the water, even in difficult circumstances they work exceptionally. The dog is also a reliable losing-bearer. Because of its excellent nose, it is also used by some hunters for the welding work. 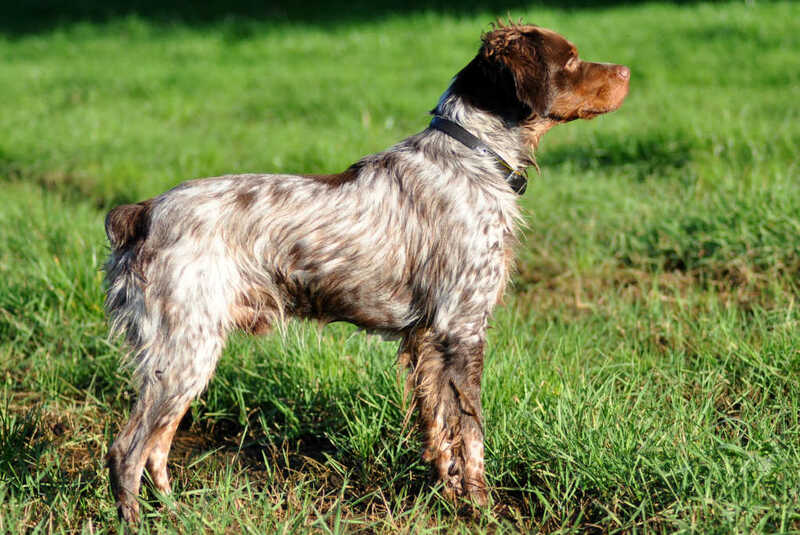 The Brittany is a classic prehistoric dog for the hunting of low-lying hounds, which completes the competition with the proven German hunting dogs and demonstrates its efficiency in hunting tests as well as practical hunting. 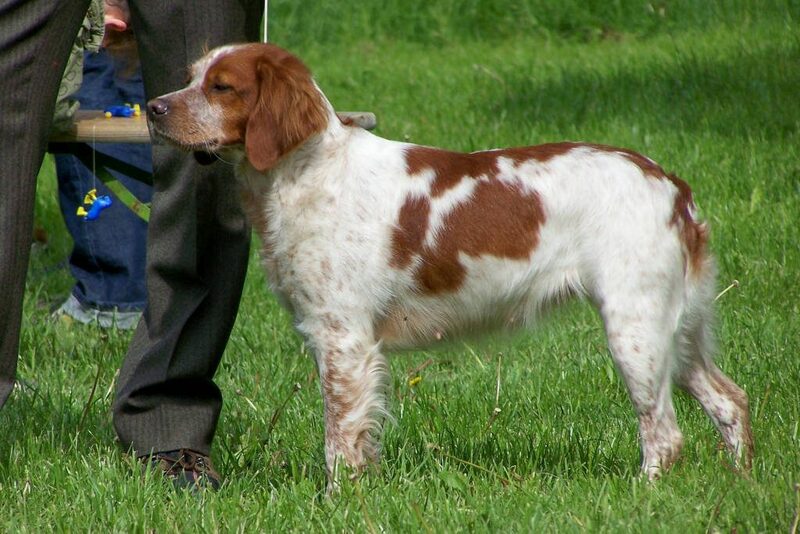 The Brittany in Germany as well as the other hunting breeds pass the junior test (VJP), the autumn hunting test (HZP) as well as the association test (VGP) as well as other examinations of the JGHV. The Briitany is a compact, powerful, small hunting dog, partly rodless, short cropped or rod-shaped. The overall impression, despite its compactness, is compact but elegant. The eye of Breton is lively with intelligent and attentive expression. The dog is adaptable, sociable and mentally balanced, child-loving and family-friendly as well as mostly easy-going. Anxious biting and aggression towards humans and other dogs are forbidden for breeding. Clear profile, medium, pronounced strong catch. Eyes lively, expressive, dark, in harmony with hair care and nose. Docks high, rather short than long. Deep and wide chest, muscular shoulders, short back, croup slightly sloping. High set, mainly short cropped. Fine but not soft, smooth or slightly wavy, medium, chest and crochet longer, feathers and trousers on the barrels. Hair orange-white, black-white, brown-white or tricolor (tri-colour), shaded or clearly marked. A narrow headache is desirable. The ideal size for males is between 48 and 51 cm stick measure, for females between 47 and 49 cm stick measure.